“When I was looking for a destination to base a yoga retreat in Europe, we were initially looking at Liguria in Italy. But as one can imagine, the story ended up being totally different… I kept hearing stories about yoga retreats in Ibiza, finding beautiful images of it, and I even went to the Property Show in London, which had a stand representing Ibiza attended by very friendly people. 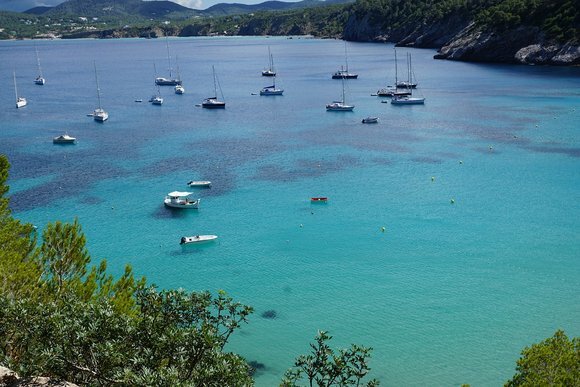 Being someone who listens to the intuitive signals of the universe, I decided to go and see what was going on there even when I had never traveled to Ibiza before. Before arriving on Ibiza, I, like most people, only thought of it as a party place. But I had no idea that the North East of the island was very sort after for its quiet location and emerald green beaches; Ibiza reminded me of a combination of India, Himalaya, and Goa. Soon, I realized that the island of Ibiza was pure gold for yoga retreats. 2 weeks after setting foot, we had finalized our retreat site in Cala Leyna; a duplex home in the countryside, close to 3 beaches with mountain views and within walking distance from Cala Leyna Sunday market, Las Dallias Hippy Market in San Carlos. No wonder why this is one of the top destinations! Imagine waking up in the countryside to sheep bells, to the scent of lemons, figs almond blossoms, and hearing the waves hitting the rocks. The food is organic and fresh from the local farmers of Ibiza; the local people are charming and humble. The Moroccan influence in architecture is charming, like stepping back in time. The whole island is a village with people from all over the world coming to seek peace and solace and live life on their terms. It’s truly a cosmopolitan place. There is a great aspect as we evolve in our yoga practice of developing awareness, seen as intuitive flashes of destiny which arise on the inner growth in our awareness. 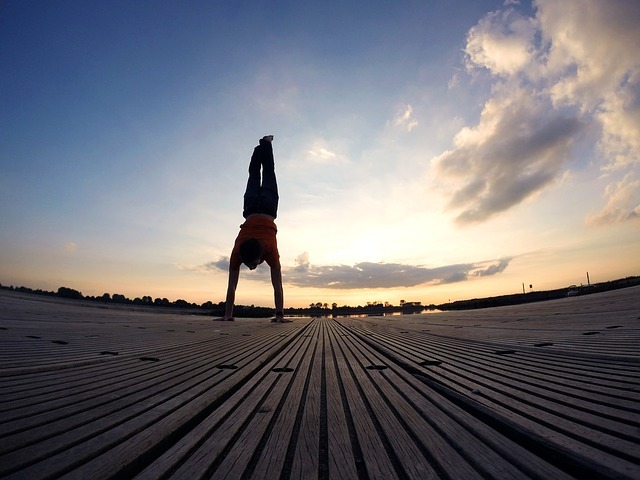 Many spontaneous encounters start to surface in our lives for one who practices yoga on a daily basis. If we have faith and trust in the coincidences, they are a divine message for you to surrender, let go and follow the journey. This is how Yoga I AM was born in Ibiza. 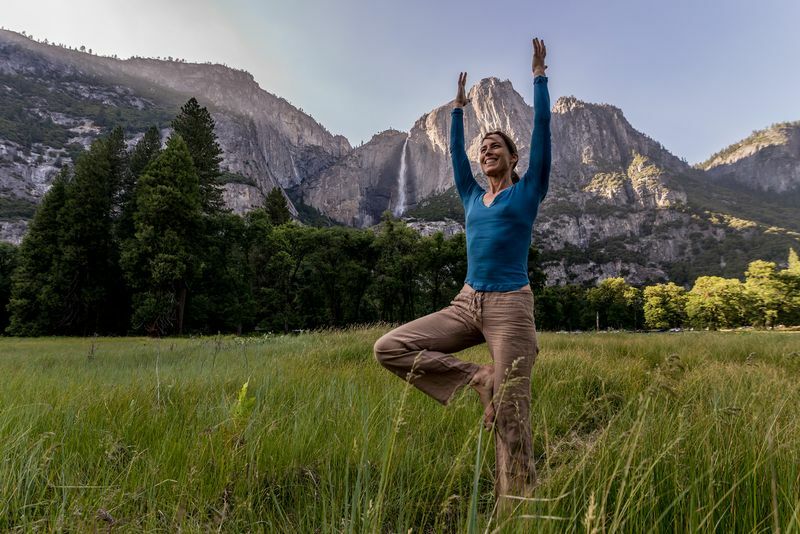 We are in a very fortunate position to take our yoga, meditation, hiking and other themed retreats on chakra energy healing and love, intimacy, relationships and hearts awakening onto the beaches, in the mountains, and on our roof terrace. We offer our humble center as a space of peace and bespoke our retreats and events as well as making available our humble home to other yogis. We offer transformation with breath work emphasis and releasing emotional blocks through yoga. Morning meditation is done daily at our retreats on the rocks overlooking the sea, in a private alcove, followed by a swim there and then brunch. 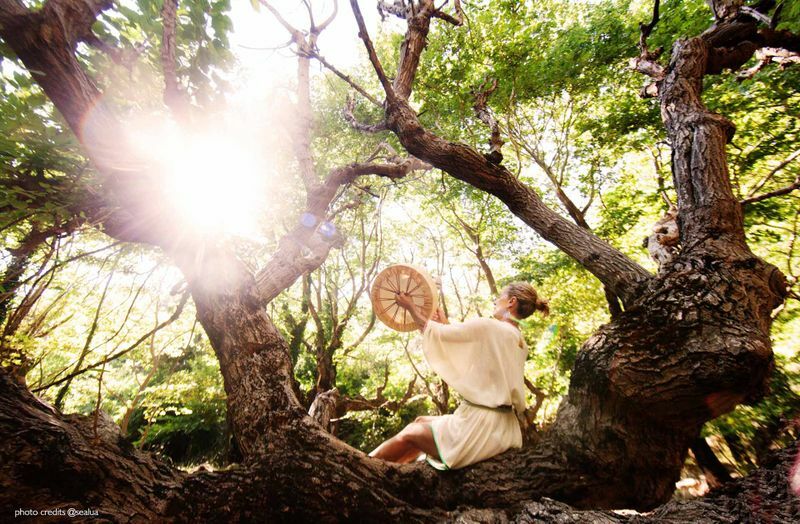 There is a genuine high vibration on the island and this intensifies any transformation. The island has a high level of quartz crystals and strong ley lines which creates this high vibration. It’s no coincidence that Ibiza draws in the top musicians and jet set of society, they are drawn to this energy. And whilst we are still new on the Island of Ibiza, Yoga I AM is intending to host the 2017 International Yoga Festival and we invite people to contact us to collaborate and experience this wonderful magical island, where miracles happen. 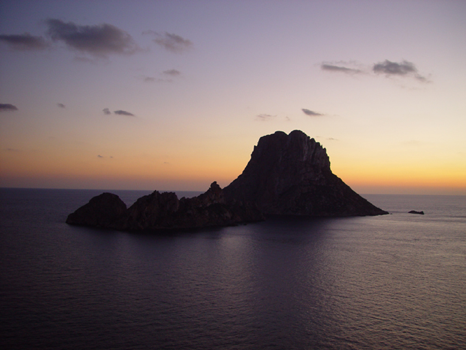 It’s a high energy place with the Rock of Es Vedra which has natural enhanced healing potential. 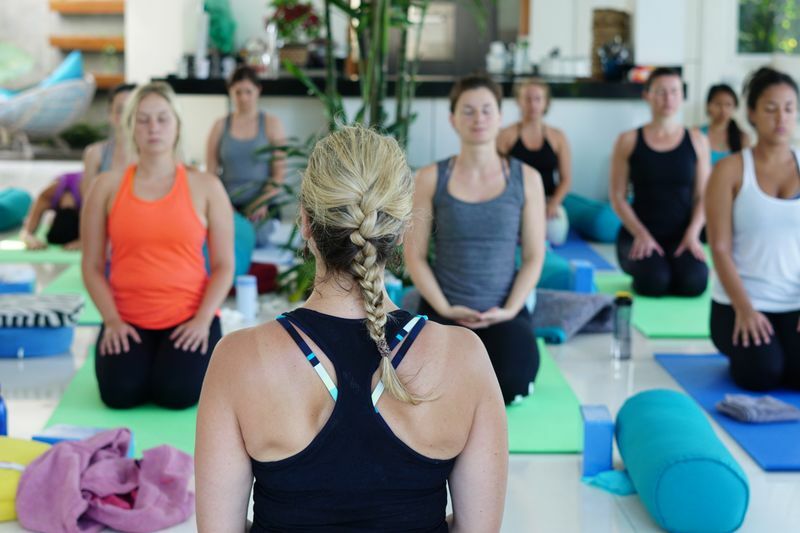 If you are looking for that very special yoga retreat experience you will not be disappointed in Ibiza, yoga is a bonus here; the energy of the island is naturally healing! It doesn't matter if you are a beginner or an advanced practitioner. Lastly, Yoga I Am is going to be launching their 200-hours Yoga Alliance registered teacher training soon! Shakti's yoga training started from when she was born in India, though she grew up in the UK. 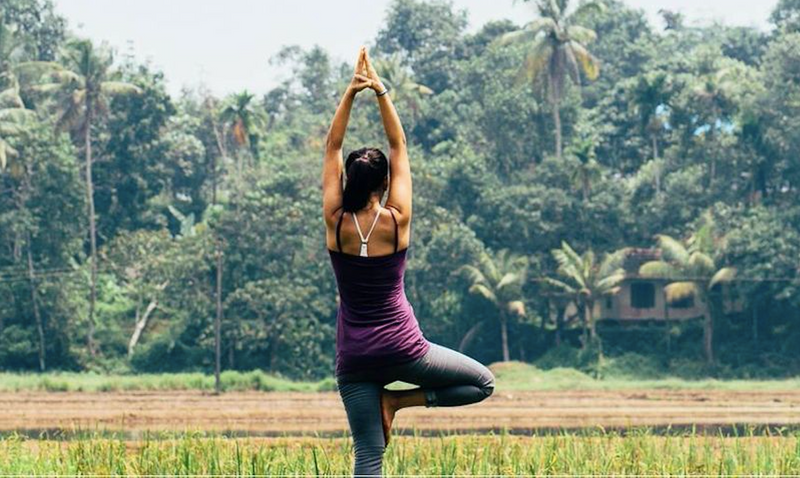 She commenced Yoga training within the Ashram in Kerala of Sivananda 15 years ago, but only out of passion for yoga, whilst continuing her corporate consultancy career in the city of london. Later she did Ashtanga with David swenson and undertook further teachers training in Power yoga in India. Her meditation lineage has evolved over 18 years to no particular tradition, although leaning as a science form with sound and light known as kriya meditation. She has authored 2 books ‘Living from the heart’ and ‘E2B Succesful heart leaders’ both available from amazon by Shira Bassi.